Recently I had the opportunity to chat with someone who works in the EPA’s Office of Children’s Health Protection. While our 4-years-olds bonded over toys on the floor of a church hall, we talked about vaccines, risks and benefits. The two objections that I have heard most frequently to children’s vaccines are the fear that they might cause autism, and that they contain thimerosal, which contains mercury. She agreed with the concerns that injecting mercury directly into the veins of an infant really doesn’t sound like a great idea. However, there ISN’T ANY mercury in vaccines used in children or infants, except for the flu shot, and even that you can get without mercury. She said that several years ago the US Government recognized that there might be a real risk to children so they reformulated the vaccines to take it out. What is thimerosal? It is a preservative that has been used in some vaccines because it is good at killing bacteria and preventing bacterial contamination. There are some serious horror stories from vaccination-spread infections from before they learned about the importance of preventing contamination and how to prevent it. Do all flu shots have thimerosal? You can get a flu shot without it by asking. The preservative-free shots are not as widespread, partially before they are more expensive. One way they avoid needing the thimerosal is by making the vials single-dose. Where can I learn more about thimerosal? There’s a lot of information on the web, but I recommend the webpages of the Food and Drug Administration (FDA). This page includes a table on the status of thimerosal in vaccines recommended for children under 6. I hear there’s a risk vaccines can cause autism. This is a nasty rumor that has been spread by people who very badly want a reason why their children, and so many children today, are on the autism spectrum. 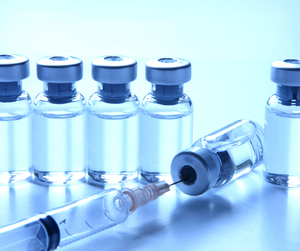 The retracted study claiming that vaccines were linked to autism was an elaborate fraud. There’s no proof that the vaccines cause autism. Children who have not been vaccinated get autism at the same rate as vaccinated children. Recent research has found that doctors can recognize early signs of autism in children as young as 6 months old. Parents had been blaming the MMR vaccine because children get it after their first birthday and most children with autism don’t have symptoms recognizable by parents until after then. I hear getting too many vaccinations at once can overwhelm the immune system. This issue is one that has not been proven or disproven. However, it’s not a reason to not vaccinate at all. It’s impossible to tell for certain when someone has an immune response where it is coming from, especially if it is days, weeks or years after the trigger event. About three days after our son had his 3 month-old series of shots he broke out in head-to-toe hives. We went in to see his pediatricians. All the pediatricians in his practice consulted on the situation and these are some brilliant doctors who trained, practice and teach at some of the best hospitals in the country. Then they sent him to a pediatric allergist. The result? It *could* be a reaction to the vaccines being too much for him all at once, but it could be something else too. With his pediatrician, we decided that from then on he should only get one or two vaccines at a time. I’m proactive about it and I always ask if he is due, or overdue for a shot and make sure they check his chart. Then I speak with the doctor to make sure he gets the most critical one first and we get the other shot (if any) at the next visit. He’s never had another reaction to a vaccine, but he’s definitely allergic to our cats, to horses and probably a few other things as well. So where did the hives come from? Frankly, we’ll never know. Aren’t you contagious for a while after you get a shot? No. Some vaccinations do not take full effect for two weeks after you receive them, including the influenza vaccine. Therefore some people may think that they have caught an illness from a vaccine, but it is likely that they were simply exposed and not immune yet. This myth also probably stems from the fact that the oral polio vaccine was contagious, however, this vaccine is no longer recommended for use. Who should not get vaccines? If you think that you should not get a vaccine for a medical reason, you should consult a medical doctor. The CDC also has a list of cautions for each vaccine available. People with cancer or AIDS should not get some vaccines. This is yet another reason why the rest of us should get vaccinated. It is frequently rfeferred to as “herd immunity”. People who cannot be immunized shouldn’t have to curtail their behaviors. However, if a parent of a child with cancer knows that other children in school aren’t immunized, that parent might think twice about sending their child to school. It is comforting for them to know that all the children their child socializes with have been immunized, because they are depending on the rest of us to not carry these illnesses. If you still choose not to vaccinate please read this information sheet from the CDC.